To accompany the Pushkin House pavilion on Bloomsbury Square by architect and artist Alexander Brodsky, titled 101st km – Further and Everywhere, that opens 18th October and commemorates the centenary of the October revolution, BBC Radio3 is holding a Free Thinking discussion on the topic of creativity and exile in Pushkin House, London’s leading centre of Russian culture. It will be broadcast on 7th November at 10pm. The pavilion commemorates poets who were sent into internal exile in the Soviet Union: the 101st km, a concept well known in Russia, refers to the distance that poets and others were forced to maintain from major cities, often after returning from the labour camps – a kind of internal exile and attempt by the authorities to suppress them. The second part of the title 'Further and Everywhere'; refers to the poetic and mysterious announcement heard on local trains around Moscow, a general denominator for calling points after the centre of the city, that conjures up the vast expanses of Russia, and the rest of the world beyond its borders – wherever the exiled is forced to go. Boris Akunin, one of the most popular living Russian writers, has chosen to make his home outside Russia. 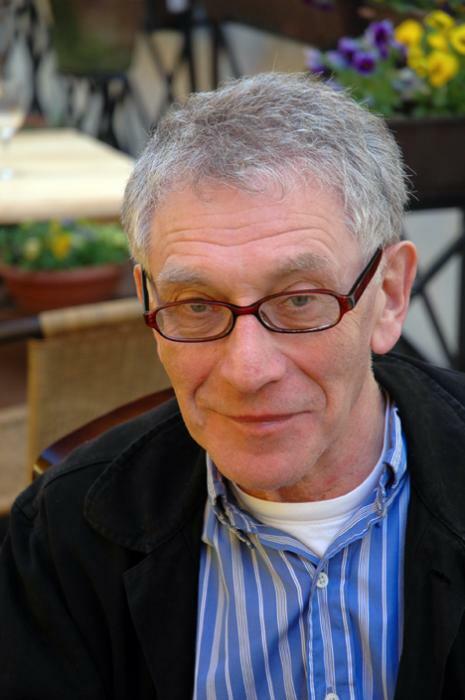 Writer and broadcaster Zinovy Zinik has also made a home for himself in London and immersed himself in British culture, writing in English. Emilia Kabakova and her husband Ilya Kabakov, two of the most celebrated Russian artists of their generation, emigrated from the Soviet Union to New York in the 1970s and 1980s respectively, and have been working closely together since the late 1980s. These three major cultural figures will discuss the theme of creativity in exile, the effect of emigration and distance from one's home country on writing and making art, their ongoing relationship with Russia, and other matters with journalist and broadcaster Anne McElvoy. 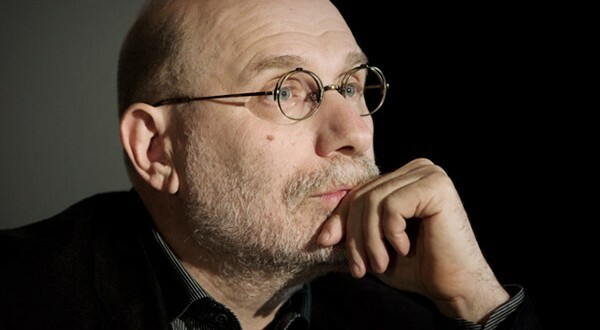 Boris Akunin is the pen name of Grigory Chkhartishvili, who was born in Georgia in 1956. An essayist, historian, playwright and translator, he is best known as the author of crime and historical fiction and has been compared to Gogol, Tolstoy and Arthur Conan Doyle. His books featuring the 19th-century detective Erast Fandorin have sold over 18 million copies in Russia alone and include The Winter Queen, The Turkish Gambit, Murder on the Leviathan, The Death of Achilles and Special Assignments. Akunin also created crime-solving Orthodox nun, sister Pelagia. He lives in London. Emilia Kabakov (née Lekach) was born in Dnepropetrovsk, Soviet Union, in 1945. She attended the Music College in Irkutsk in addition to studying Spanish language and literature at the Moscow University. She immigrated to Israel in 1973, and moved to New York in 1975, where she worked as a curator and art dealer. Emilia has worked side by side with Ilya since 1989. From this point onwards, all their work has been collaborative, in different proportions according to the specific project involved. Today Kabakov is recognized as the most important Russian artist to have emerged in the late 20th century. His installations speak as much about conditions in post-Stalinist Russia as they do about the human condition universally. Emilia and Ilya Kabakov are artists that collaborate on environments which fuse elements of the everyday with those of the conceptual. While their work is deeply rooted in the Soviet social and cultural context in which the Kabakovs came of age, their work still attains a universal significance. Their work has been shown in such venues as the Museum of Modern Art, the Hirshhorn Museum in Washington DC, the Stedelijk Museum in Amsterdam, Documenta IX, at the Whitney Biennial in 1997 and the State Hermitage Museum in St. Petersburg among others. In 1993 they represented Russia at the 45th Venice Biennale with their installation The Red Pavilion. The Kabakovs have also completed many important public commissions throughout Europe and have received a number of honors and awards, including the Oscar Kokoschka Preis, Vienna, in 2002 and the Chevalier des Arts et des Lettres, Paris, in 1995. Zinovy Zinik is a Russian-born British novelist, essayist and short story writer. Having lost his Russian citizenship with his emigration from the USSR in 1975, Zinik settled down in Britain in 1976. Ten years later he became a British citizen. The bilingual author of a dozen books of fiction, translated into u number of European languages and adapted for radio and television (The Mushroom Picker among them), Zinik is also a regular contributor to The Times Literary Supplement and BBC radio. His recent comic novel Sounds Familiar or the Beast of Artek (Divus, London, 2016) incorporates a surreal Soviet family saga of abuse and corruption into the parallel world of modern London where the illusionary monsters of the Soviet past affect the present life of Londoners. Zinik’s new novel in Russian The Orgone Box was published this year in Yekaterinburg. Anne McElvoy is a British journalist for The Economist and the London Evening Standard, and a BBC broadcaster. She joined The Times in 1988 as a graduate trainee, heavily covering the dissolution of eastern Europe, and later reporting from Moscow. In 1995 she became deputy editor of The Spectator, as well as being a columnist on its sister publication, The Daily Telegraph. In 1997 she became associate editor of The Independent. In 2002 she moved to the Evening Standard as executive editor remaining until 2009, though McElvoy still contributes a weekly political column. In 2009 she joined The Economist. She has also written Man Without A Face:The Autobiography Of Communism's Greatest Spymaster, Memoirs Of A Spymaster: The Man Who Waged A Secret War Against The West, and The Saddled Cow: East Germany's Life And Legacy. She has been a regular presenter of the BBC Radio 3 discussion programme Night Waves since 2009, and has appeared on BBC2's Newsnight Review. She also occasionally contributes to BBC Radio 4's The Moral Maze.